Hah! 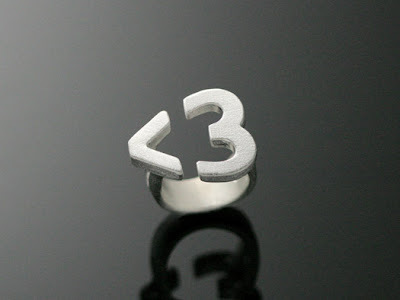 Just discovered the Signs collection of jewelry by Chao & Eero. It's a collection of minimalist silver jewelry "inspired by the frequent use of emails and mobile phone messages." Simple and cute. Ankle Corsets. They're a Thing. Really.